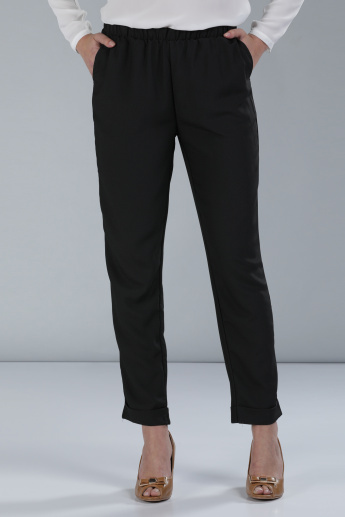 Inflate your style with this eye-catching pair of ankle-length pants with turn-up cuffs. 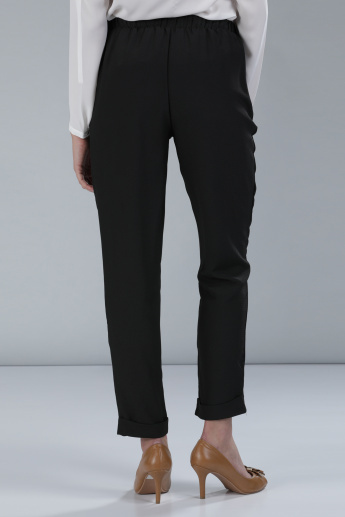 The soft fabric while promising an elegant silhouette lends a smart look. The pair has an elasticised waistband for comfort while wearing.